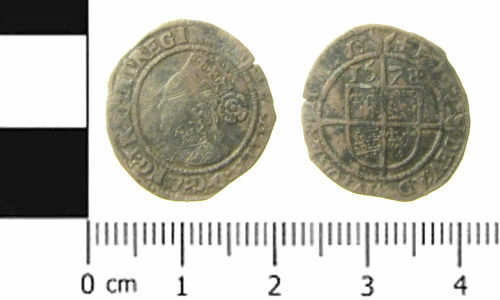 A complete silver Post Medieval coin; a threepence of Elizabeth I (1557 - 1603), second issue (1561 - 1582), plain cross initial mark (1578 - 1579) dated 1578. Long cross reverse over shield. London mint. North Vol II, Pg 135, No 1998.